The Himalaya Sahitya, Sanskriti Avam Paryavaran Manch has decided to honour those who either have completed their 80 years of age or are completing during 2013 by conferring “Life Achievement Honour” for their distinguished contributions in the field of Hindi literature, translation, culture and social participation. In the first instance, Saroj Vashisht, Dr. Molu Ram Thakur, Ram Dayal Niraj, Sunder Lohia and Satyen Sharma will be honoured by the Manch in a graceful function proposed to be held in Shimla in the near future. This has been disclosed by S.R. Harnot, author and Chairman of the Manch today in Shimla. Harnot said that these five dignitaries have given their whole life for the promotion of Hindi Literature, Himachali Culture and social participation and also still creative in their respective fields. There are numbers of books in the credit of Saroj Vashisth and she is also very active in social activities. 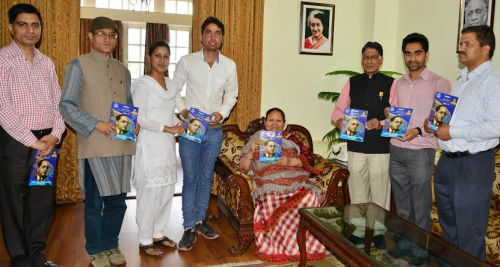 Dr. Molu Ram Thakur has contributed a lot in the field of Himachal history and culture and authored numbers of books. Sunder Lohia has been a renowned figure in the field of Hindi Literature and Education and written numbers of short stories and novel. 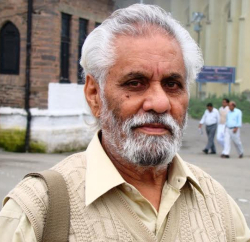 Ram Dayal Niraj and Satyen Sharma had been associated In the Public Relations Department Publication Division and edited renowned Hindi Magazine namely Himprastha and Giriraj Weekly and played vital role in promoting Literature and culture in the State. They have also a cult figure in providing a Manch for new writers, not only from Himachal but also from various parts of India. The Manch itself feels honour and profound pleasure by conferring Life Achievement Honour to the above personalities. Harnot also said that from next year’s onwards, the Manch also proposed to honour senior personalities completing 80 years of age in the other fields such as Art, Folk Music, Stage and Environmental conservation.